New year, new you with FREE Gotafe! It’s true – we’re already a good month into the New Year, but it’s never too late to recommit to those short-lived resolutions and truly become a “new you”! 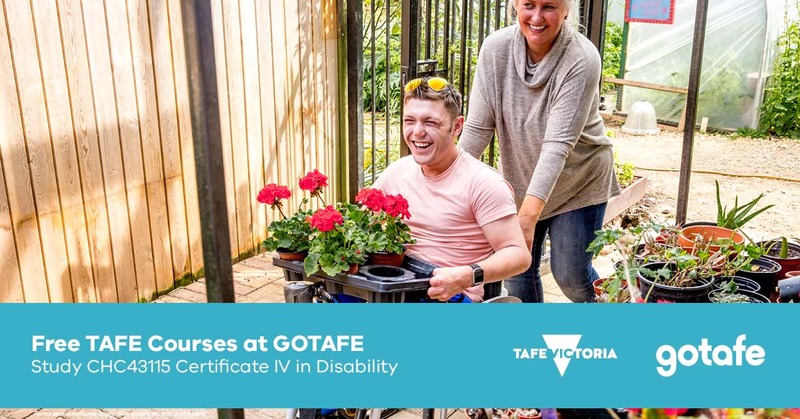 Whether you’re looking to get up-skilled for your current job or are seeking qualifications for a new career altogether, GOTAFE is here to help. The largest tertiary education provider in Northern Victoria, GOTAFE offers real world learning experiences and flexible, hands-on training to suit you. That means that if you need to juggle a job, a family or a side-hobby while you study, they’ve got you covered. With 250 accredited courses available there's something for everyone. Training facilities and campuses are available across Regional Victoria. With training facilities and campuses spread across Regional Victoria (and with most courses operating between them), it’s never been easier to sign-up and learn in a simple, comfortable way that suits your busy lifestyle. Oh… And did we mention just how affordable it all is? Almost 20,000 other enrolled students can’t be wrong! Make 2019 your year to upskill your career. If 2019 is your year to make some changes by studying something and developing a whole new set of skills, then make sure you get started straight away and don’t miss a moment. It’s time to go do it. It’s time to GOTAFE it! Take advantage of free TAFE. Enrol now at GOTAFE. For more information visit the website here or call 1300 GOTAFE (468 233).